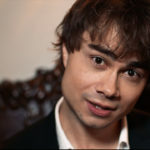 Alexander Rybak has recently released a video with the song “Looking My Way”. Alex has been interested to do something modern, something fun and fresh. Hence Rybak teamed up with Philip Checil a Norwegian artist to make this catchy summer song! 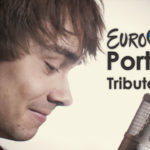 Alexander has been quite active in music, after he won Eurovison Song Contest in 2009. Can you believe it is almost 9 years ago, since “Fairytale” won? After his victory he has traveled the world playing music. Alex has also been working with a lot of other artist, including a project with Greta Salóme this year in Iceland. 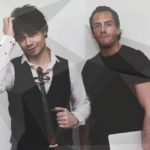 The two Eurovision singers and violinists working together easily sold out three concerts in Iceland. This included two in Eldborg, the mail hall in Harpa concert hall in Reykjavik. 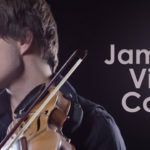 In addition they taught violin classes together for kids in Iceland’s capital area. In addition to making his own music, he likes to do all kinds of covers. 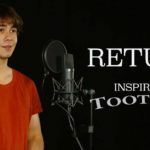 From Jamala´s winning song to funny parodies.